Crossroads Mall, originally developed in 1960s on a 50-acre site in the center of the city, has undergone renovations throughout the years to respond to the changing retail climate. A new development team acquired the property in 2010 and are considering options to realign assets to respond to the current retail landscape. The Hoefer Wysocki team developed a master plan concept that embraced a live-work-play use of the site, with a 20,000-sq. ft. health club, 500,00 sq. ft. of office space, 750,000 sq. ft. of residential apartments, 250,000 sq. 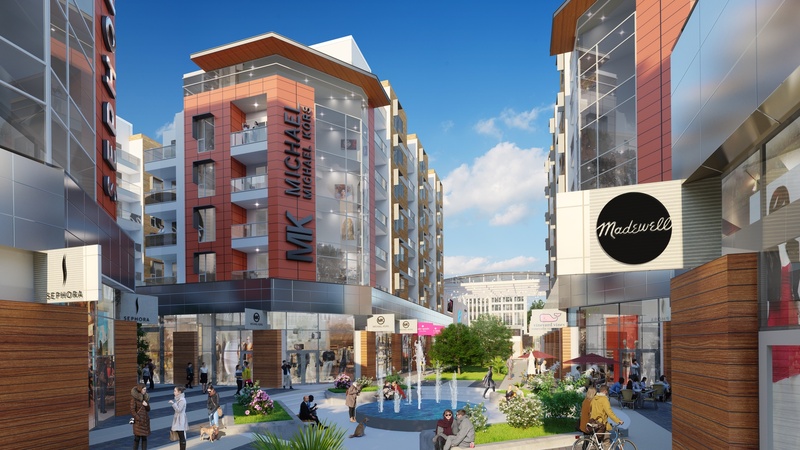 ft. of retail, a boutique hotel, activated courtyards and abundant greenspace. 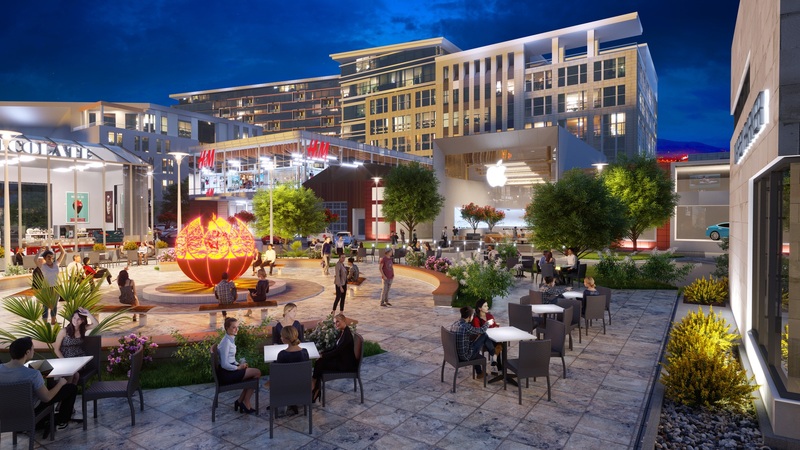 New amenities and the site’s prime location in the city center will appeal to a diverse age range of active professionals seeking a high quality of life. Innovative developers are reinventing what’s possible when it comes to the exciting world of new development. At the forefront, there are some amazing and dazzling mixed-use projects. 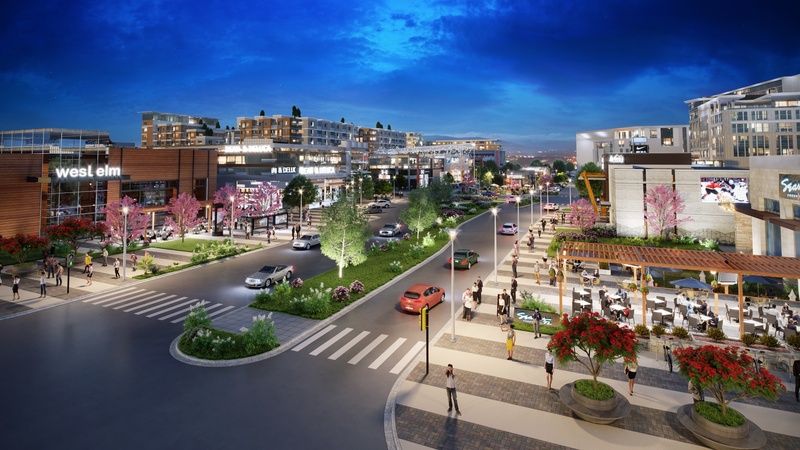 These developments take the concept of life, work and play a bit further, and merge those ideas with the classic concept of a town center-type of project. Crossroads is a perfect illustration of our design team’s ability to express a client’s vision through design.